SailRail – a logistical love affair? I have long been a fan of SailRail deals and wish there were a lot more of them. I have lost count of the amount of times I have travelled this way between London and Dublin, my two home towns, hopping on the 9.10 Virgin train at Euston and travelling direct to Holyhead, one of the most gorgeous routes which clings to the shores of North Wales, arriving at 12.50 in time to catch a variety of afternoon ferries. I am always in Dublin in time for tea and all for £38 single. A price that doesn’t go up during school holidays either. What’s not to love? For more information on how to book and what it costs, your absolute best and most up to date port of call is the inimitable Man in Seat 61. So, I am forever trying to persuade my pals who are crossing the Irish Sea to do so using SailRail. It takes a bit of work, but they get there in the end and usually love it. The extra time to work of have family time together, no airport apprehension, no Ryanair rage and,of course, it’s cost. It’s a win win. At least, most of the time – until delays kick in and then the happy marriage of Sail and Rail starts to show a little need of counselling. The logistical love affair hangs by a thread when a third party is introduced. The car passenger. Because car drivers are always given precedence when it comes to ferry travel. They board first, they disembark first and they have access to better infrastructure in the ports. As a foot passenger I was always in the minority on these ferry crossings for years, struggling to find a bus to transport me from a ferry port to the city centre, or a car hire company which will deliver to the port without charging a huge supplement. But things are changing. When I travel by train and ferry now, the numbers have increased ten fold at least. People have cottoned on for various reasons and fair play to the ferry and rail companies for keeping these deals going. But when you arrive into Holyhead with an hour to spare before the London train leaves the platform, and you are instructed to wait for an hour watching car after car disembark, and your train leave the station (despite informing the crew that you have a SailRail ticket and would very much like to catch your train) this could be considered terms for divorce in my opinion. However, with a little mediation, and recognition of the needs of all parties involved, we could surely feel the Sail Rail love again? 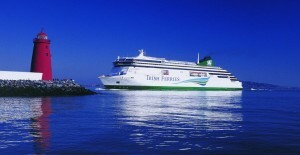 Stenaline, Irish Ferries, Virgin Trains, Arriva and the rest. Please take note and help put the Rail back into Sail so that we can all make this the marriage made in heaven that it deserves to be. 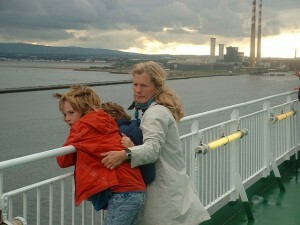 This entry was posted in Articles and tagged ferry to Ireland, Irish Ferries, sailrail, sailrail to Ireland, stena line. Bookmark the permalink.